The Punt returns for the next set of fixtures as the festive fun continues up and down the country. 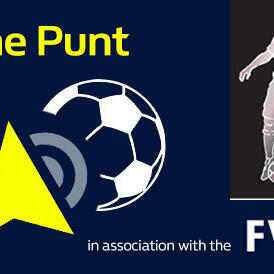 Our FWA guest on this edition of the podcast is the Daily Mail's North East Football Correspondent, Craig Hope. We talk about whether Rafael Benitez's tactics against Manchester City is killing the Premier League and Virgil Van Dijk signing for Liverpool. Derek McGovern and Alex Dunn preview the TV Premier League games and Pete Farries, Gav P and Al Ross give the best bets in the Football League. Sam Norris provides a bet in Serie A.
Dave Kelner is your host.